Old Glory in Round Top! You have heard me blog and talk about Old Glory Antiques many times with their shop in Denver and their former pop-up shop in Burton, Texas. That property even had the wonderful old home next to the store, remember the “show bunkhouse” that was featured in Country Living? Well NOW, Old Glory Style is coming to the heart of Round Top! 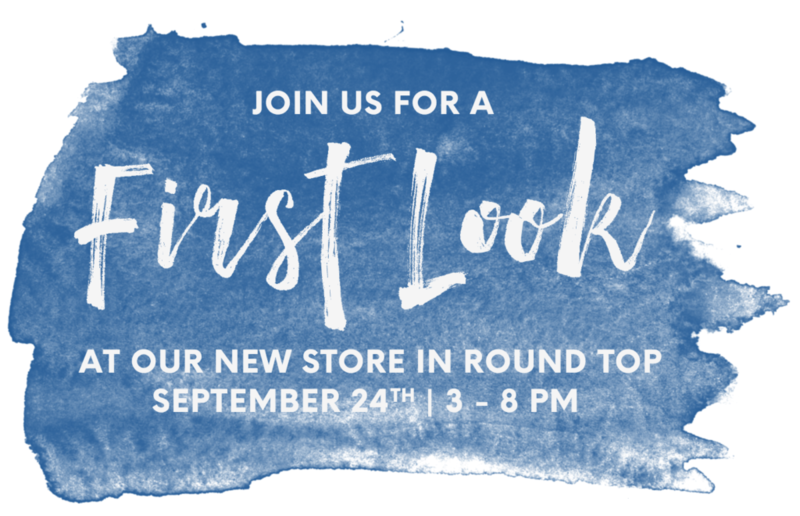 When the owners, Brian & Holly Kuhn (native Texans that live in Denver but get back to Texas every chance they get) had the chance to buy property in the DOWNTOWN metropolis of Round Top, Texas, they could not pass up the idea of a more permanent store in the heart of town! They enlisted talented local builder Lewis Tindall and architects to help develop a plan that would honor the dance hall roots of the building in Burton they so loved and started out in but with more square footage and amenities to received shipments and host more visitors during the show and throughout the year! Tindall has built dozens of local homes and businesses in the area , including Henkel Hall in the heart of Henkel Square, that honor and complement the history of Round Top with real materials and Texas architecture and style! I was asked to work with Tindall to choose colors and finishes on the project and enjoyed working with him and his crew of craftsmen so much! I can’t wait for you to see this building and I can’t wait to see how the Kuhns fill this building with antiques and Old Glory Style! You can read more here about the Old Glory journey in this great blog post about the new location. 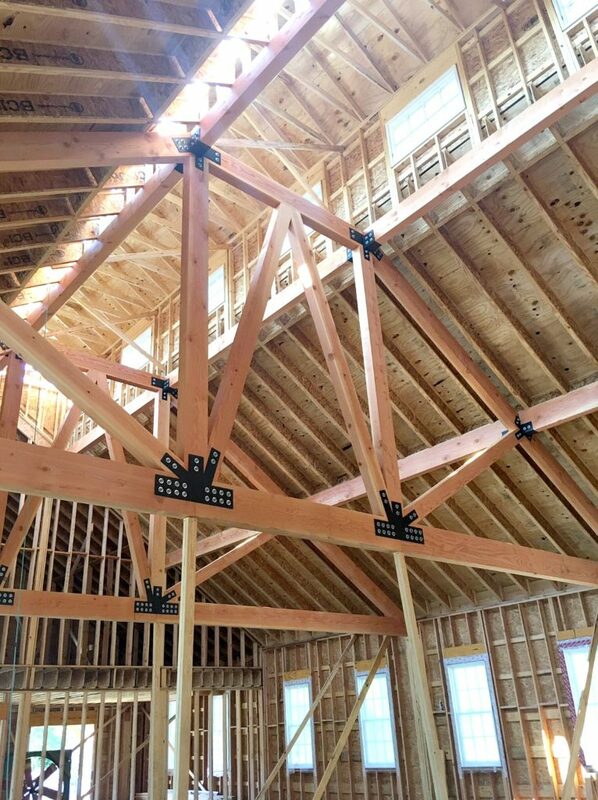 It has been such a joy to watch the construction of the building and see the quality and integrity of the materials in this space. 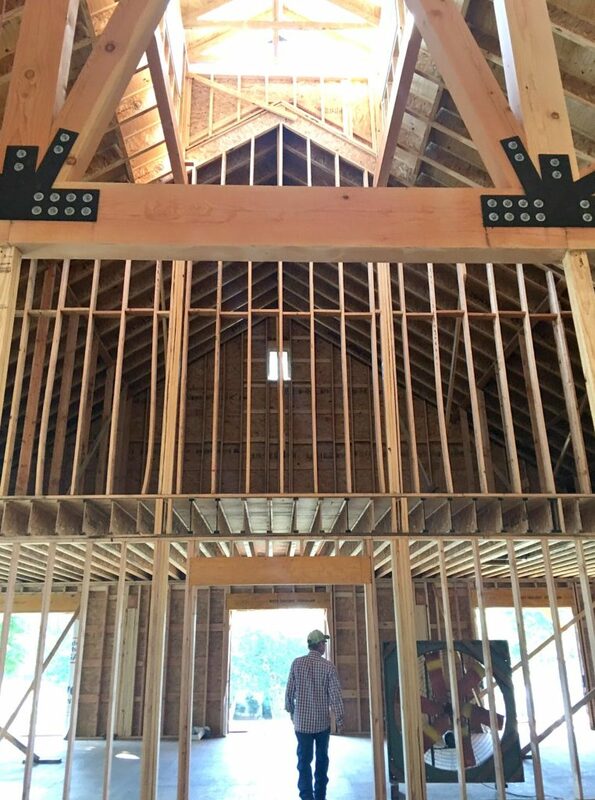 Tindall understands the true use and meaning of shiplap and where the proper width of boards should be used, I have learned so much watching him work and navigate this project. He even found the perfect reclaimed wood for the ceiling of the front part of the building. 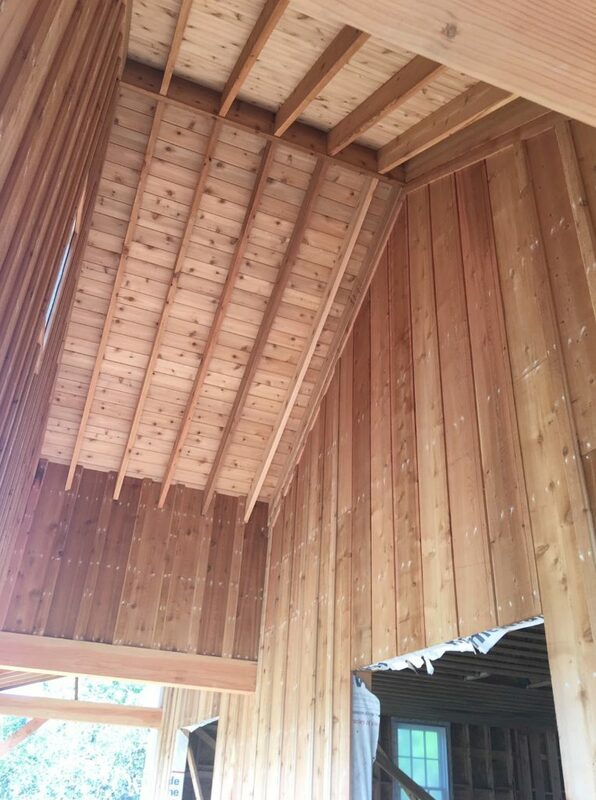 What I love about the structure is the honesty and simplicity of the construction and materials. When you have a clean and timeless design it doesn’t to be fussy or complex. We used gallons and gallons of SW Westhighland White paint to coat the inside of building to create a beautiful soft white background for all of Old Glory’s old pieces. The old chippy paint pieces and authentic goods that Old Glory is know for are going to pop and look fresher than ever in this new space. But I what I love is that people are going to think its an old space because of the construction and design. Only the fresh paint and the most discerning eye would know that the building is new and not just a freshly remodeled old building that has been in Round Top for years. And that was totally the intention of the entire Old Glory team, to create a new structure within the landscape of the community that complements the surrounding while also giving shoppers and visitors to the area and wonderful new space to shop and visit! The store will not be open for full-time operation until mid October, after the fall show, but there will be a sneak peak next Sunday. 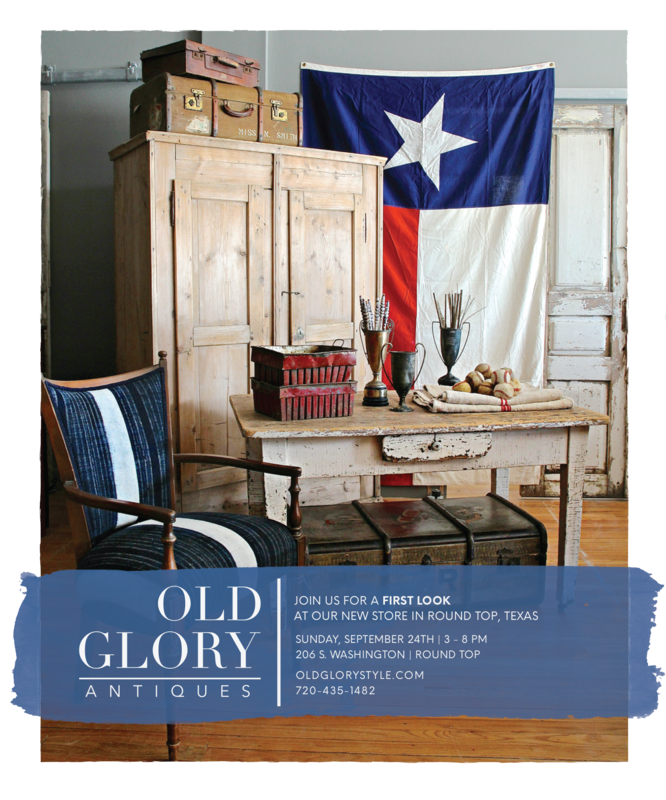 Sept 24 from 3-8pm and they will also be open Monday, Sept 25th fro 10-5pm Follow the Old Glory Style blog and Texas page for all the latest details about fall hours and special events and grand opening in the spring…so exciting that they will be open throughout the year not just during the antique shows! God bless you Old Glory Antiques & the Kuhn family and friends and welcome home! What a fun building they are working on—I love antique shopping in buildings that enhance the experience. I hope to visit in person sometime while visiting my Austin family. Thanks for the info, I hope you’ll post something once they’re settled in. So exciting to see this beautiful building with true historical integrity welcomed into the community of Round Top!! 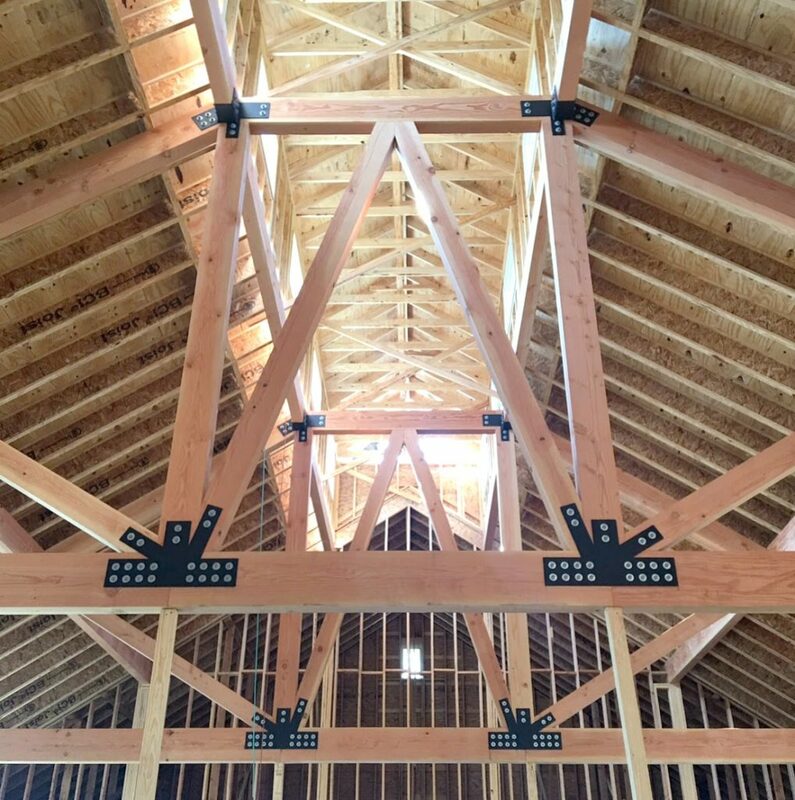 I was recently there spending the weekend with my mother and two daughters and we were in awe of the structure and NOW we must return to see all the wonderful pieces that will make their home in it!! Well done job for both the builder and the architect and designers!! Can’t wait to see it again! !